Brazil is South America’s largest economy, the seventh largest economy in the world, and was considered, for many years, as a favorite for investors. For the past decade, Brazil has benefited from a global commodities boom. During President Luiz Inacio Lula da Silva’s two terms in office, Brazil enjoyed rapid economic growth by capitalizing off of soaring commodities prices and a booming China willing to purchase iron ore, oil, and soya beans from Brazil. Brazil’s commodities boosted tax revenue and the Lula administration was able to create a government cash-transfer program that helped 30 million Brazilians escape poverty. As a result, consumer spending expanded. More recently, however, Brazil’s economy has started to tank due to the commodities bust and China’s sluggishly performing economy. Making matters worse, Brazilian officials are indecisive on what actions to take to enhance economic performance. The Brazilian Finance Minister, Joaquim Levy, is advocating for the Dilma Rousseff administration to cut government spending and increase taxes while the Planning Minister, Nelson Barbosa, supports state-led development and wants to protect social benefits. According to Levy, Brazil must become more competitive before securing the social benefits achieved during the commodities boom. Brazil’s central bank has already raised interest rates five times in an effort to tamp down inflation. However, high interest rates, which are currently at 14.5%, have affected consumer spending (household spending fell by 2.1%). Furthermore, government spending has also fallen while taxes have risen. In comparison to last year, the Brazilian economy as a whole shrank by 2.5%. This has led to Brazil currently experiencing rising unemployment and high inflation, which is now above 9%. Last week, Levy and Barbosa presented a package of measures to balance next year’s budget that includes a six-month freeze on pay increases for public servants and a temporary reintroduction of an unpopular financial transfers tax. However, they admit that it will be very difficult to get these measures approved through Congress as the leaders of the House of Representatives have already expressed disapproval of the new tax. Making matters worse, there is not only a disagreement on spending and taxing, but Brazil is facing a sprawling corruption scandal around the state-controlled oil producer, Petroleo Brasileiro SA, that has ensnared members of President Rousseff’s cabinet. President Rousseff also faces two court processes that could lead to her impeachment. In addition, hundreds of thousands of Brazilians protested last month demanding her impeachment. 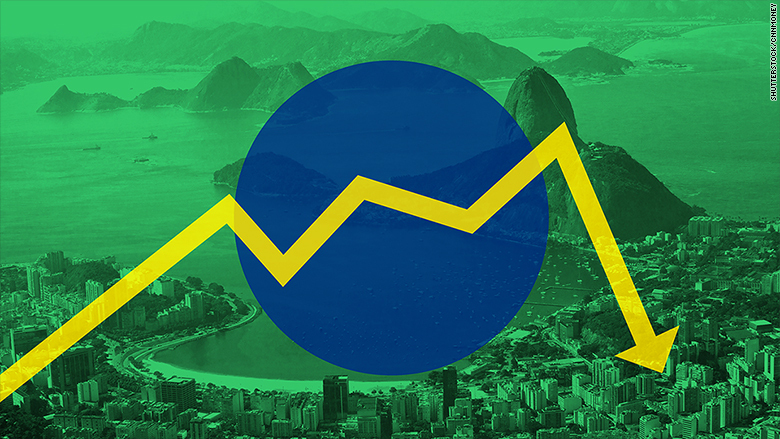 Economic analysts claim that the Brazilian government missed the opportunity to take advantage of its economic growth to diversify its economy, improve productivity, and invest in its various development sectors. Now, the country is indecisive on how to bounce back. More worryingly, analysts believe growth might not return until 2017. Silvio Ramirez is a Master’s candidate at Columbia University’s School of International and Public Affairs specializing in Economic and Political Development.